We’re delighted to launch today a new feature that allows the saving of records that you discover in SuperSearch – MyHeritage’s online search engine for billions of historical records – directly to the relevant profiles in your family tree. Our Record Matching technology already provides accurate matches of historical records to family tree profiles and when a match is confirmed, or pending confirmation, the record appears on that individual’s family tree profile. Our new “Save Records” feature takes this one step further and enables you to save any record that you find on SuperSearch, to one or more profiles in your online family tree on MyHeritage. Have ancestors you want to learn more about? 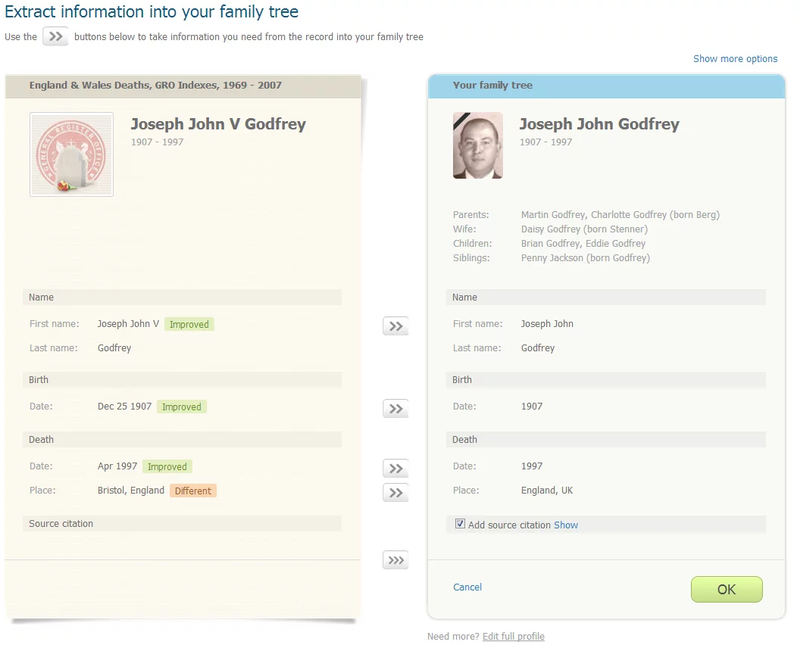 Search for them in SuperSearch, or click on the research icon on any family tree profile, and save any relevant records that you discover directly to their family tree profile. 1. Review the record and click the green “Save record” button. 2. Select a person in your family tree to save the record to. Note: our technology will automatically provide some good suggestions for you to pick from. 3. Click “Save” and that’s it! Saving creates an association between the record and the family tree individual, but does not copy data into your tree yet. You will now be able to continue to extract information from the record into your family tree (more on this below). 1. Some records pertain to multiple people. For example, marriage records typically contain information about the husband and wife, and sometimes also their parents. Most census records cover an entire household. You can easily save the same record into multiple profiles by using the link “Save to another person”, marked in red below. 2. A good way to search for records is to visit a profile in your tree and then click “Research this person” on the profile page. See the link marked in red below. 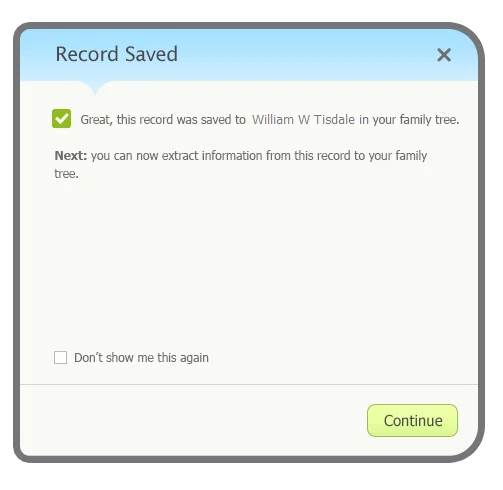 When researching this way, any time you’ll want to save a record to your tree, SuperSearch will automatically know who the target individual is so you won’t have to select it. 3. Our Record Detective™ technology further enhances this feature. Found a census record for an individual and a Find A Grave burial record was also discovered by the Record Detective? Click on the related Find A Grave record and then save it to the appropriate profile too. This way you can find even more previously unknown historical information about your family history! 4. 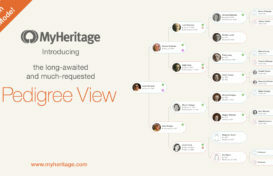 Found a record in SuperSearch but don’t have a family tree on MyHeritage yet? Worry not! 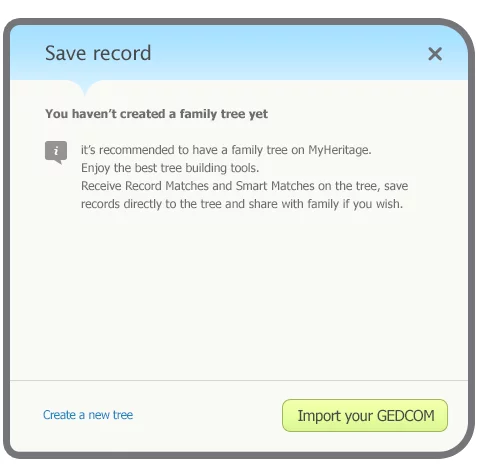 A pop-up will guide you through the simple steps of creating your family tree on MyHeritage or importing a GEDCOM file on the spot. You’ll be able to start saving records right away to the profiles added or imported to your tree. 5. 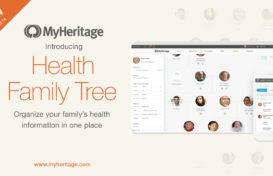 Are you using the MyHeritage software Family Tree Builder 7.0? If so, you can take advantage of the new “Save records” feature! After syncing your family tree, all the information you have saved and extracted will sync to the Family Tree Builder software on your computer. Read more about our latest Family Tree Builder 7.0 features such as syncing your family tree and photos between your online family tree, desktop, and mobile devices. If you are using an older version of Family Tree Builder, updating it to version 7.0 is free and recommended. 6. Only site managers can save records, but all site members may view records that were saved. 7. To fully take advantage of the “Save Records” feature, a Data subscription is required. If you don’t have one, choose from our range of options which include unlimited access to all historical records on SuperSearch. Saving a record to your tree is very important because it creates an association between the record and the individual profile in your tree. This ensures you won’t forget the connection and will help you differentiate between records you’ve already processed and new finds. However, by saving, your work is not complete yet, and it is time to extract information from the record into the tree profile. This is the part where you can enhance your family tree by adding more information from the record. 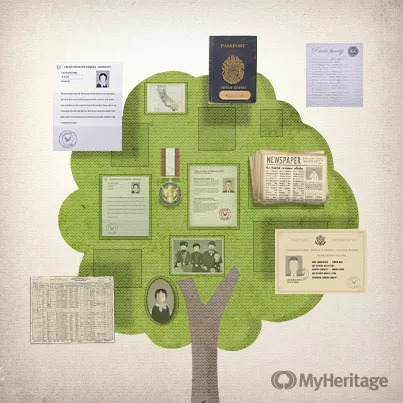 Even if the record doesn’t seem to add new information, you can at minimum create a source citation that will point to the record from your tree, so that other genealogists could follow your conclusions. This is done in just a few clicks using the convenient Extract Info screens which are already available for online family trees on MyHeritage. 1. Right after saving a record, a pop-up will inform you that you are about to continue to extract information from the record. 2. 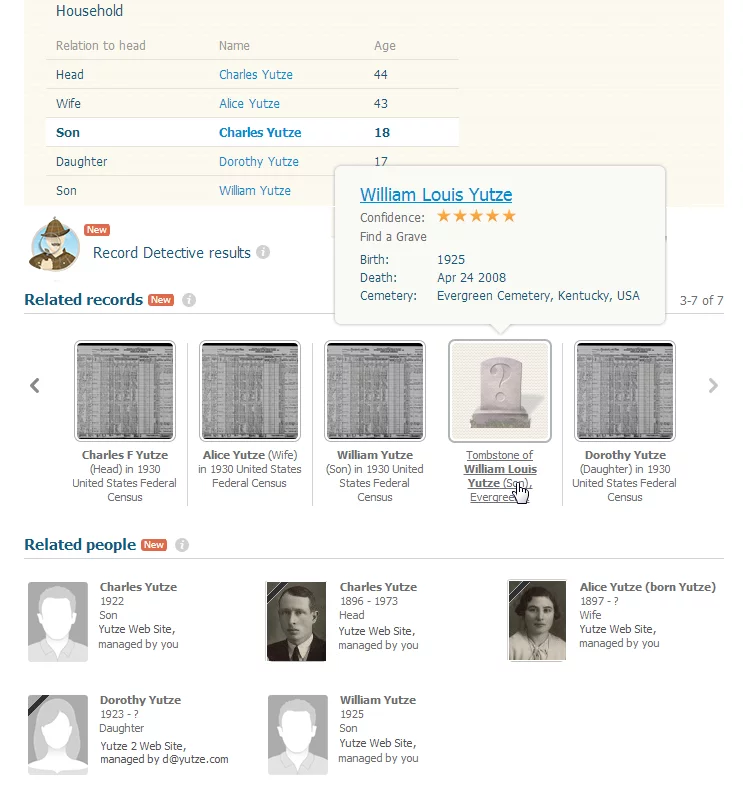 In the Extract Info page, click the [>>] arrow buttons to extract desired details into your family tree profile. The [>>>] button at the bottom will copy all the available information in one click. Save and you’ll be redirected back to the record page. If you click “Cancel” the record will remain saved but the extracted information won’t be saved. You can undo any save operation by clicking “Undo save” on the record page. The new Save Records feature makes it super simple to add historical records directly to your family tree and share them with your family. All site members will be notified via the newsfeed about any records saved, and can view the records and associated family tree profiles easily. Historical records can tell interesting stories about the lives of our ancestors and can provide new information leading to additional discoveries. The new feature is a step in our mission to combine family trees and historical records in the best way possible and make it easier for our users to make the most of both. 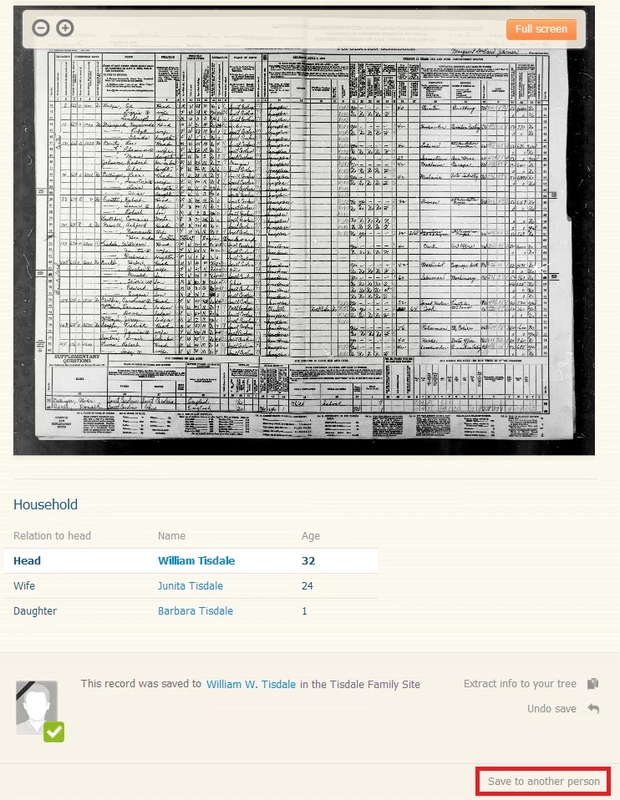 We hope you’ll enjoy this new feature and use it extensively to enhance your family history research. Thanks for adding this requested feature! This is awesome! Can’t wait to try it! THANK YOU! from the bottom of my heart. What an awesome feature and it is pretty simple to use. It will certainly draw an interest of other family members who come to visit the site and help open up their awareness of the importance of the work the “family genealogist” is or has been working on for years. It may even help them realize that their input and help in aiding the person doing the research is so important and not just an invasion of one’s privacy. Those of us who are working on a family project don’t just keep asking for records and information because we’re nosey and just want to get gossip. By them helping us it only helps to open up more of our time to work on the next individual in the tree. Family research becomes much easier, much more fruitful and real joy thanks to recent improvements in My Heritage! Is this service avaiable to all? Hi Patricia! Only site managers are able to save records, but all site members will be able to view those records saved. Thankyou for this valuable addition – will hopefully add a new dimension to this studyand intrigue – which I realise the next generation do not yet have time to source. It will be their Heritage!! Is this feature for MEMBERS ONLY or does it also work on the FREE site? To fully take advantage of the “Save Records” feature, a Data subscription is required. If you don’t have one, you can choose from our range of options which include unlimited access to all historical records on SuperSearch. Thanks. No time today. Will try later. Looks great, Thanks! As a possible subscriber to MyHeritage this feature has helped me to decide.